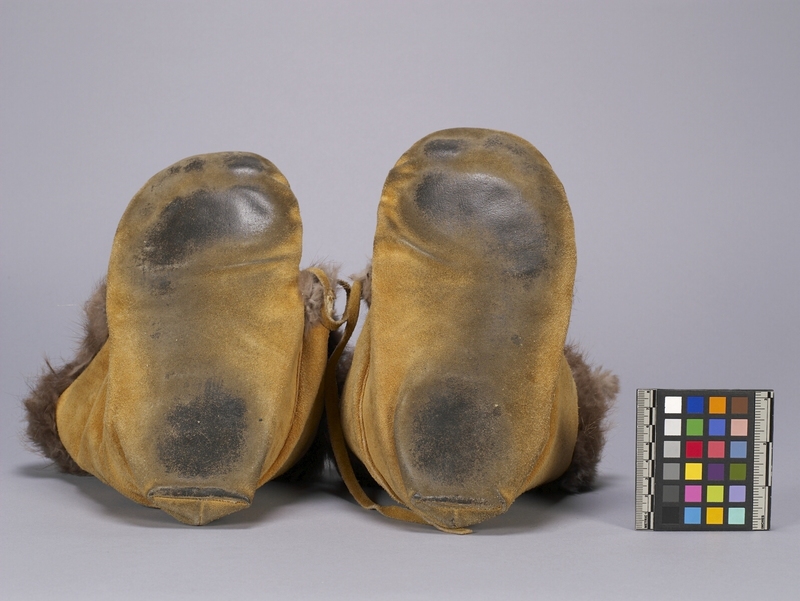 Item number 1337/1 a-b from the MOA: University of British Columbia. 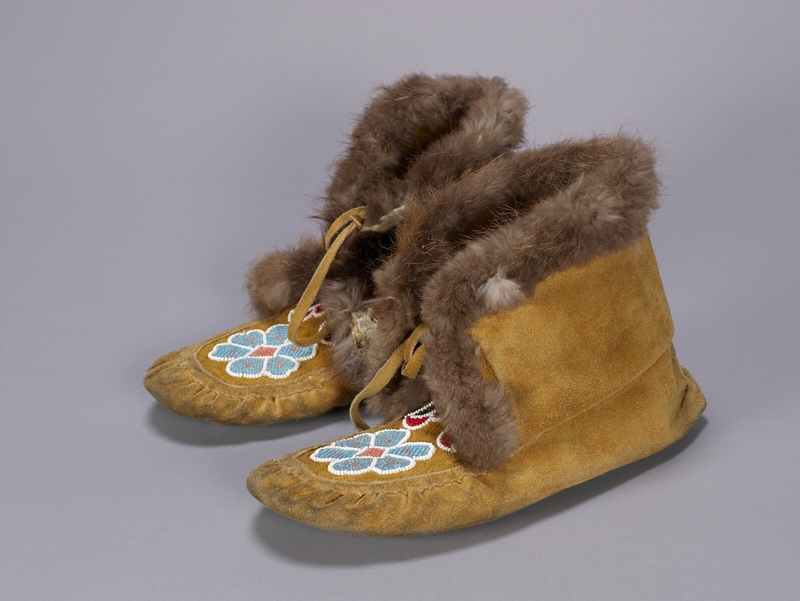 Pair of moccasin-like boots with brown fur trim and floral beadwork in blue, orange, white, green and red. Tie closures on either side of the upper ankle.